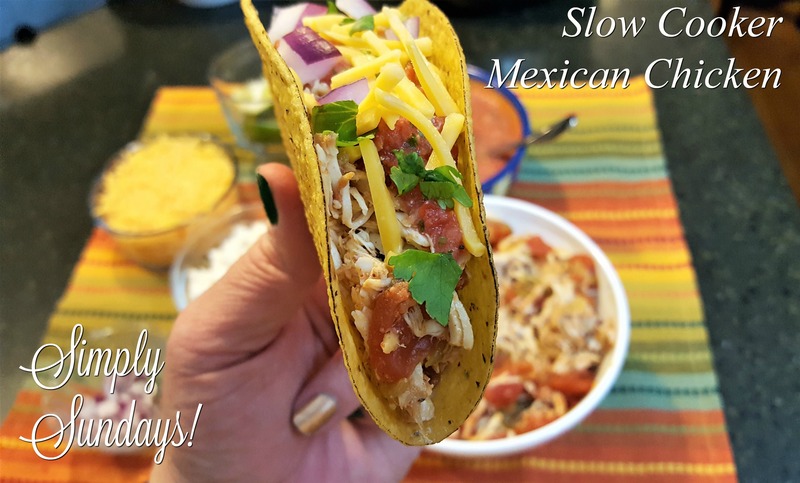 Slow Cooker Mexican Chicken – Simply Sundays! This is waiting for me tonight! Looking forward to trying it out. There’s nothing better than having dinner ready when you walk in the door! Hope you enjoy it! Great for a busy weeknight meal!